This Thursday (tomorrow) is the annual America Recycles Day event at Whole Foods Market in Andover. It’s a great opportunity to recycle or donate many items. RAIN OR SHINE! 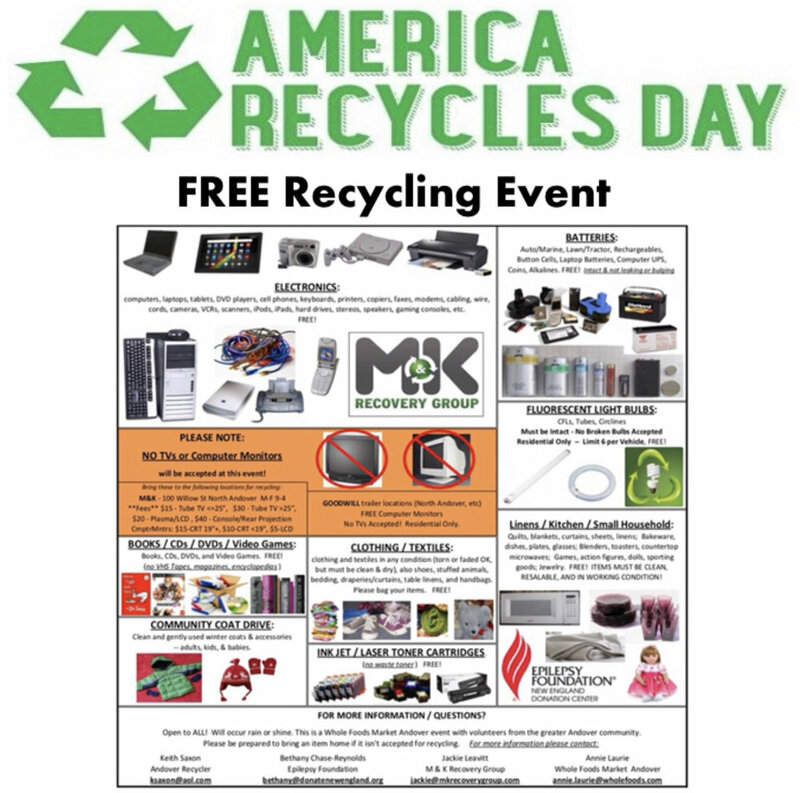 *Whole Foods Market Andover is sponsoring this FREE Recycling Collection Event in partnership with M&K Recovery of North Andover and volunteers from the local community for America Recycles Day.